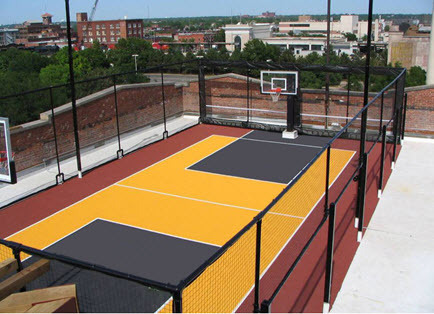 Play On Courts supplies and installs indoor and outdoor basketball court tile systems from VersaCourt. 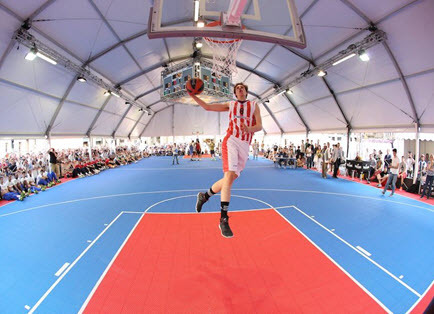 VersaCourt is the most innovative basketball court system on the market today. 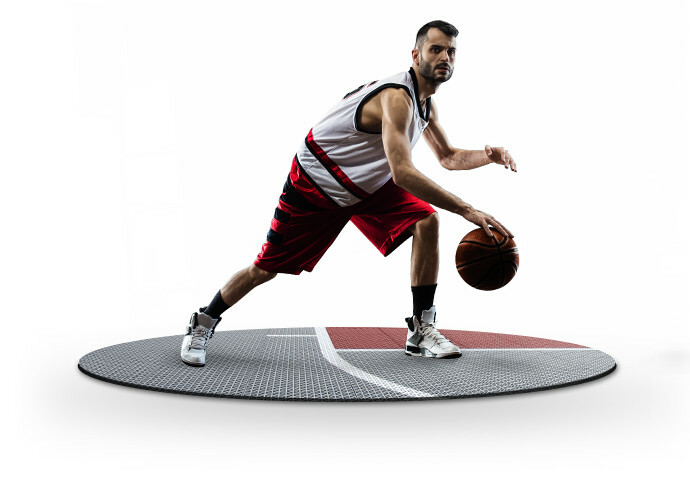 With its patented interlocking system, VersaCourt provides an exceptionally uniform and durable surface, which allows for intensive activity. In addition, our courts are constructed from ¾” shock absorbing tiles that reduce fatigue, which means that players can play better for longer. Cleans easily with a standard hose or leaf blower. 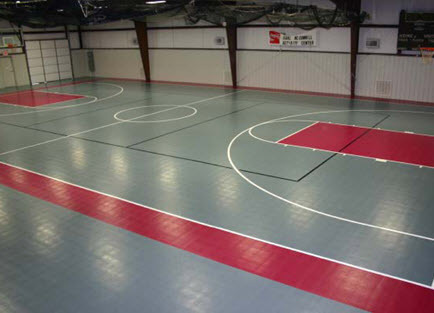 Court tile will stand up to harsh weather conditions and high amounts of foot traffic. Surface stays up to 50% cooler than concrete and asphalt surfaces. Suspended surface provides forgiveness for players' lower backs, knees and joints.